Burlington Mayor Miro Weinberger apologized Friday for the role City Hall staff played in a press conference endorsing Democrat T.J. Donovan for attorney general. 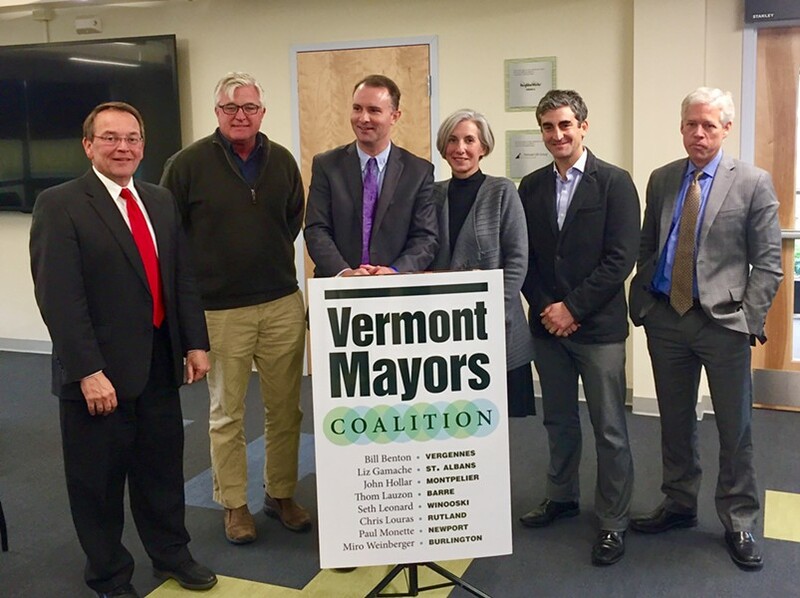 On Friday afternoon, Weinberger and four other members of the Vermont Mayors Coalition convened in Barre to unveil their support for Donovan, who currently serves as Chittenden County state's attorney. The event was organized and promoted, using a City Hall email account, by the mayor's communications and projects coordinator, Katie Vane. Asked later that day whether it was appropriate for him to engage in partisan political activities using municipal resources, Weinberger apologized and called it a "mistake." "We have always tried to very carefully separate political activity from the duties of the mayor's office, and that didn't happen here," he said. "It hasn't happened before, and it won't happen again. It was an honest mistake." According to Weinberger, a press release Vane sent the media announcing the endorsement was written not by her but by Donovan's campaign. Donovan is facing off against Republican attorney Deb Bucknam to succeed retiring Attorney General Bill Sorrell in the November 8 election. Weinberger defended the decision of the Vermont Mayors Coalition to weigh in on the race. He said the eight-member organization is "not an official entity" but an informal group of city leaders who typically work together on policy issues affecting their respective municipalities. Weinberger conceded that the group is financed by small contributions from member cities, but he said those totaled no more than "in the hundreds of dollars." "It was totally appropriate for the mayors to endorse," he said. "The problem was the advisory and the press release should not have been sent out from a government address."